It is highly recommended to follow the links at the bottom of this page to the official Ross University web sites. 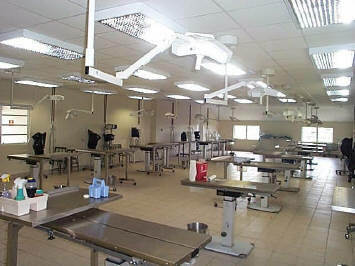 Ross University School of Veterinary Medicine offers an educational program equal in scope and quality to that offered in the United States. Ross University has a trimester program with a curriculum closely related to US curriculi. Students stay on St. Kitts for 7 semesters (2 years and 4 months), and then join the regular clinical year offered by schools in the United States, with the same privileges as US vet students. Ross University's advantage is in the emphasis on practical education on island (surgery labs, anesthesia labs, clinics etc. ), resulting in extremely well trained students entering the clinical year. As a matter of fact, faculty at US schools have told me that they prefer Ross students to assist in tricky procedures rather than their own students. Graduates of RUSVM have entered veterinary practice in a broad range of specialties and are licensed in the majority of states in the United States. Most faculty have taught at schools in the United States, and either have a PhD degree and/or a board specialty. Ross University does not have research or publication requirements, therefore, the instructional staff is particularly accessible and dedicated to teaching only. 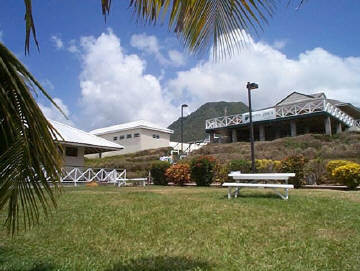 The complex of instructional buildings is built on a multi-level scenic site overlooking the Caribbean Sea. 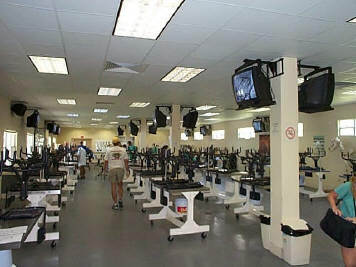 The facilities are considered state of the art. 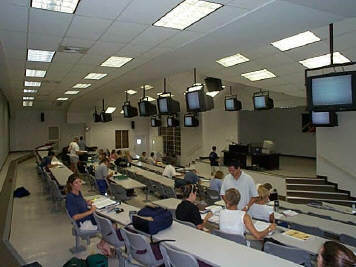 Most buildings are newly constructed, air conditioned, equipped with modern audiovisual aids, and fully computerized. A large library and learning resource center aid in self studies. The large anatomy building contains the gross anatomy lab, a museum of anatomical specimens,and a necropsy facility. Besides numerous class rooms, a large 300-seat auditorium has recently be constructed. The primary care and referral clinic next to the large surgery lab aids in clinical training with modern equipment, such as video-endoscopy, ultrasonography, radiology, and special surgery suites. A large modern cafeteria has recently been build. Applicants are generally expected to have earned a Bachelor's degree from an American or Canadian (or similar) baccalaureate program. The minimum qualification for admission is the completion of 90 semester hours of college-level courses as specified below. The courses in Biology, Chemistry and Physics must be equivalent in content to those recommended for students majoring in Biological Sciences. Applicants from countries other than the United States or Canada which have educational systems different from that of the U.S. will be evaluated on their merits, but will be expected to have completed educational requirements comparable to those of students from the United States. Housing is available in private 1-3 bedroom apartments and 2-4 bedroom houses. There is no dormitory on the island. disadvantages: far from beaches and activities, area is not considered very safe. disadvantages: safer than Mattingley, but burglaries still occur. Apartments usually older, not always air conditioned, not always well furnished. advantages: prime residential area on St. Kitts, beaches and safe walking trails close by, houses tend to be more modern and more well equipped, usually air conditioned, safest area to live in. disadvantages: slightly more pricey than the other areas.